Ronald Johnson had five children at the time he was shot to death, Holmes said. The officer who shot and killed Ronald "Ronnieman" Johnson the week before Laquan McDonald was shot 16 times will not be charged criminally for the shooting, Cook County State's Attorney Anita Alvarez said, adding that all evidence supports police accounts of what happened what happened on Oct. 12, 2014 in the 5300 block of South King Drive, when Officer George Hernandez shot and killed Johnson. Alvarez, who has been under tremendous public pressure in light of the McDonald case, held a news conference Monday describing in detail what happened in the case. "Without calling 911 themselves to report what had occurred or driving to the nearest police station, the four men drove a short distance away and then returned to the scene where they had just been shot at," Alvarez said. "By this time Chicago Police officers were en route to the scene responding to multiple 911 calls that shots had been fired. "The first two officers arrived on the scene, encountered a man ... officers were in the process of speaking to the driver of the car about the shooting. 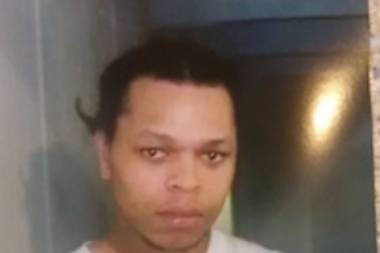 At the same time, officers observed Ronald Johnson at the scene... [They] noticed he was carrying a gun and ordered him to stop and drop the weapon. "[Mr. Johnson] ran from the officers while holding the gun. He initially ran from 53rd Street, turning south onto King Drive where he encountered the original two officers who were on the scene and speaking witht he other occupants of the vehicle. "These two officers observed Mr. Johnson with the gun and they drew their weapons and ordered Mr. Johnson to stop and drop the weapon. "Mr. Johnson stopped and incidated he would comply... One officer holstered his weapon and tried to [arrest Mr. Johnson, who wrestled free]. [Other officers arriving at the scene] heard an officer yell out that Johsnson had a gun. [Johnson] turned away and began to flee in the opposite direction, crossing King Drive still holding onto his weapon. At that time Officer Hernandez began pursuit of Mr. Johnson and fire five shots. Two of those shots struck him." "The legal question in this case is not whether Officer Hernandez shot Mr. Johnson and killed him, those facts are not in dispute," Alvarez said. "The legal questions are, number one, is there sufficient evidence that exists to meet the legal requirement for a burden of proof in this case.. [and] Number two, ... did Officer Hernandez act reasonably under the law." Alvarez's office showed the video to reporters Monday after pressure from family members, lawyers, journalists and activists, who claimed Johnson was not armed. 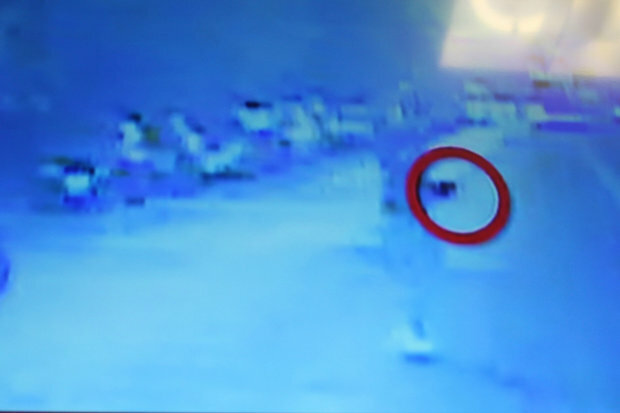 The video appears to show Johnson running from officers and toward a park with a gun in his hand. "They're grainy, it's dark, it's blurry, it happened so fast," Alvarez said, but after consulting with multiple experts she said they are confident that Johnson was carrying a gun. Again, the video had no audio. Alvarez called the lack of audio in the dashcam videos "frustrating" and said the Chicago Police Department needs to answer for that. At the time, police said Johnson allegedly pointed a gun in their direction before one of the officers opened fire, striking him multiple times. Hernandez fired six shots at Johnson's back, according to a wrongful death complaint filed on Holmes's behalf on Oct. 29, 2014, a few weeks after the shooting. The claim by police that Johnson had pointed a weapon at police were "completely misleading and false," the complaint read. Johnson's mother Dorothy Holmes has said in protests and demonstrations since that night that she had seen video footage of the incident showing that her son wasn't carrying anything when he was gunned down. "It's very important for me to clear my son's name, because [police] went on TV that night and lied in front of a million people," Holmes said at a press conference Dec. 1 calling for the video's release.